Paul Neuhaus. Manufacturer: Paul Neuhaus. 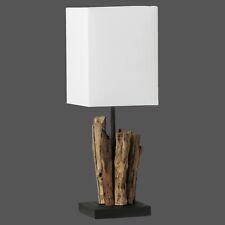 Retrofit table lamp Abuja / Brown 1-flg / square / Driftwood / Afrikastyle. Spotlight spots. The table lamp, in elegant design and modern looks and feel special by the choice of material is. 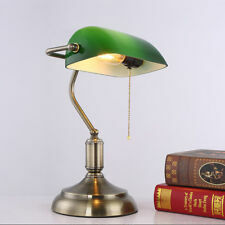 Type: Desk lamp / table lamp. surface preparation:Plating, paint. 1x Desk lamp with cable（UK 3PIN Plug）. Model: FLTD-4004 (We use a glass shade. This will not be what you need. In lamp socket:Rope switch. ). It is equipped with an E27 socket (bulbs not included) and can a bulbs of your choice up to max. 46Watt record. With a height of 61cm, it is ideal for living and dining room and office. Marke Honsel. Metal and plastic construction Versatile flexible neck On/Off switch on base Bulb: Max. 40W E14 Golf Ball (Not included) Height: 28cm approx. . Manufacturer: Wofi lighting. Spotlight spots. The modern lights of CHILL series will amaze you by its exceptional design. The lamp is equipped with a switch. Chill table lamp. Energy efficiency class. Manufacturer: Wofi lighting. Brushed Sconce Laos / alu / glass / switch / 33 Watts. This noble Designwandleuchte, consisting of ultra white glass and a suspension kept colour in brushed aluminium, gives through their exceptional light reflections every room a special ambience. Manufacturer: Wofi lighting. Spotlight spots. The wall lamp with its three lights crossed arms supplied includes bulbs. Outdoor Lights. Wall lamp Astro. Wall lights. indoor lighting. State: Exhibition/fair play. Manufacturer: Wofi lighting. Spotlight spots. Small but mighty! Wall lights. indoor lighting. Brushed aluminum. Wall lamp via. 33 kWh / 1,000 h.
It is equipped with an E27 socket (bulbs not included) and can a bulbs of your choice up to max. 46Watt record. 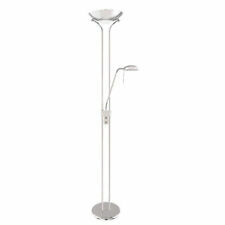 With a height of 57cm, it is ideal for living and dining room and office. Marke Honsel. Manufacturer: Wofi lighting. Design table lamp Cara / 1-flg / clear / switch / fabric shade Brown / E14. Spotlight spots. Table lamp Cara. This table lamp with clear base and Brown fabric shade can shine your four walls in new splendour. Manufacturer: Wofi lighting. Wall lamp Eddy / nickel / 2-flg / switch / ø 8 cm / E14 socket. E14 socket conventional, energy saving, as well as LED bulbs can be used. Spotlight spots. In perfect balance! Manufacturer: Wofi lighting. Spotlight spots. Ceiling lights. Ceiling crowns. The spotlights of the series Mickey boast their extraordinary design mitamt of matte nickel look. This brings the white lacquered glass very well. Manufacturer: Wofi lighting. Spotlight spots. The Wall lamp PRESTO is one of our elegant space-saving miracle. Wall lights. Wall lamp Presto. indoor lighting. Adjustable spot 28 kWh / 1,000 h.
Manufacturer: Wofi lighting. Spotlight spots. Ceiling lights. Ceiling crowns. Ceiling lamp Nixon. indoor lighting. 132 kWh / 1,000 h. Satin Nickel. Luminous flux: 285LM. The retro-fit table lamp Len flirts with gravity. This table lamp is the focal point of your modern interior. The glass bulb distributes the light evenly. So you can be sure that there is sufficient light available for every room. Manufacturer: Wofi lighting. The spots of the series SLEEVE Vetro are real classics because of their processing and facilities. 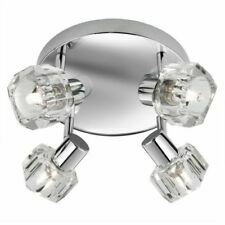 This wall / ceiling light has been considered with all these features and ECO Halogen bulbs are included. Manufacturer: Wofi lighting. Spotlight spots. Ceiling lights. Ceiling crowns. Ceiling lamp Nixon. indoor lighting. Satin Nickel. Luminaire head adjustable. Manufacturer: Wofi lighting. Pendant luminaire Oklahoma. Spotlight spots. The pendant lamp OKLAHOMA makes its enormous flexibility based on its own height adjustability impressively demonstrated. Pendant lights. Manufacturer: Wofi lighting. These jewelry pieces have an inner balance that evenly emit light through the holes down and above can be (as well as through the fine slot). The surface of this wall luminaire is matt in nickel and the halogen ECO bulbs are included. Manufacturer: Wofi lighting. Pendant luminaire Houston / 3-flg / glass / nickel, E27 socket. Pendant lights. A modern and stylish pendant that turns any room into warm comfortable light. Even in the switched off, this lamp is a real eye-catcher. Manufacturer: Wofi lighting. Spotlight spots. The lights of the series JOS are both functional and energy saving! This table lamp is equipped with a switch and plastic shade and base are colored black or gray smoke kept in. Paul Neuhaus. Manufacturer: Paul Neuhaus. 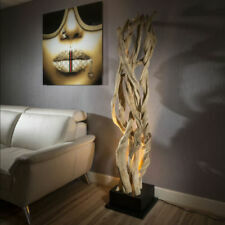 Retrofit table lamp Abuja / Brown 1-flg / square / Driftwood / Afrikastyle. The table lamp, in elegant design and modern looks and feel special by the choice of material is. Manufacturer: Wofi lighting. Spotlight spots. Ceiling lights. Ceiling crowns. The Special ticket! Opal white glass is in its lighting effect and scattering simply unsurpassable. This ceiling has a round suspension with two swivel arms, and by the bulbs - supplied - you get a warm white illumination. Manufacturer: Wofi lighting. Spotlight spots. Ceiling lights. Ceiling crowns. With the light of the series of LYNN, you increase the well-being and comfort within your own four walls. The internal cut of white satin glass acts like the icing on the cake. 3 x recessed lights Recessed spot set swiveling iron brushed 3 x 20W GU 5,3 12V halogen. Product type: Recessed spotlights. Color: Brushed iron. Light color: warm white. You pick up the ordered goods directly from us at the camp. Manufacturer: Wofi lighting. Pendant luminaire Florence / 1-flg / white with patterns / E27 socket. Pendant luminaire Florence. E27 version conventional, energy saving, as well as LED bulbs can be used. Manufacturer: Wofi lighting. Spotlight spots. Ceiling lights. Ceiling crowns. The glasses are painted white and the surface of the suspension and swiveling arm are colored kept in nickel matt. This 4-ceiling spotlight bulbs are included. Manufacturer: Wofi lighting. Elegant Wall lamp Divina / white / 1-flg / E14. Wall lamp Divina. E14 socket conventional, energy saving, as well as LED bulbs can be used. Spotlight spots. Ceiling lights. Manufacturer: Wofi lighting. Spotlight spots. Pendant lights. 132 kWh / 1,000 h. Pendant Santa fee. Satin Nickel. White ball. Adjustable boom. Manufacturer: Wofi lighting. Spotlight spots. Ceiling lights. Ceiling crowns. Bulge, white. Ceiling lamp Nixon. indoor lighting. Satin Nickel. Manufacturer: Wofi lighting. With the lights of the series LYNN you increase well-being and the comfort within your own four walls. The inner pulp of white satin glass acts like the icing on the cake. Manufacturer: Wofi lighting. Spotlight spots. Wall lamp Luv. Wall lights. Luminous flux LED lights. indoor lighting. Bent glass. Manufacturer: Wofi lighting. Ceiling lamp Dina / white / 4-flg / glass / spots adjustable. Spotlight spots. Ceiling lamp Dina. Ceiling lights. Ceiling crowns. indoor lighting. These beams impressed by a mix of elegant design and simple Eleganz.Die individual luminaire heads are individually adjustable. Manufacturer: Wofi lighting. 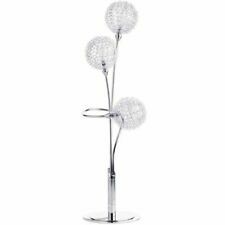 Ceiling lamp Dina / white / 2-flg / glass / spots adjustable. Spotlight spots. Ceiling lamp Dina. Ceiling lights. Ceiling crowns. indoor lighting. These beams impressed by a mix of elegant design and simple Eleganz.Die individual luminaire heads are individually adjustable. Manufacturer: Wofi lighting. White / 1-flg / glass / spot adjustable Wall lamp Dina. Wall lamp Dina. Spotlight spots. Wall lights. indoor lighting. Lamp head Life in hours. Manufacturer: Nino. Spotlight spots. Table lamp CITY - Paris / stained / plastic / E14. CITY - Paris! The table lamp PARIS completed a modern lifestyle. With an attractive logo, the table lamp gives pleasant light. It is equipped with an E14 socket (bulbs not included) and can be a bulbs of your choice up to max. Record 30 watts. With a height of 35cm, it is ideal for living and dining room and office. Marke Honsel. Manufacturer: Wofi lighting. Carre Wall lamp. Spotlight spots. Wall lights. indoor lighting. Extravagant Wall lamp Carré in white. With and without light. 33 kWh / 1,000 h.
Manufacturer: Wofi lighting. E14 socket conventional, energy saving, as well as LED bulbs can be used. Spotlight spots. The light of the series of JOS are energy-saving both functional as a aucg! This clamp lamp is equipped with a switch and the plastic screen is black/transparent. Manufacturer: Wofi lighting. Spotlight spots. Ceiling lights. Ceiling crowns. 4 RGB LED. LED lights. indoor lighting. Transparent dice. Manufacturer: Wofi lighting. Ceiling lamp Dina / white / 3-flg / glass / spots adjustable. Spotlight spots. Ceiling lamp Dina. Ceiling lights. Ceiling crowns. indoor lighting. These beams impressed by a mix of elegant design and simple Eleganz.Die individual luminaire heads are individually adjustable.